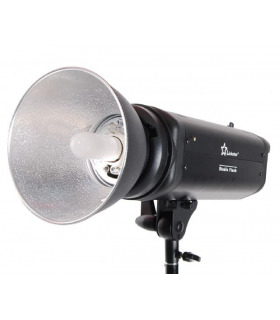 This studio flash set includes two studio flashes with a flash power of 600Ws each. 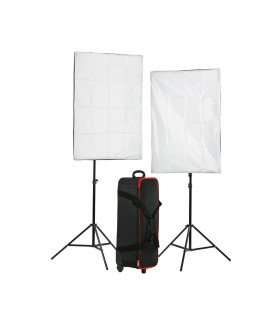 In the set are also included two soft boxes with a size of 80 x 100, two modeling lamps (250W), two reflectors with a diameter of 20 cm, two tripods with a maximum length of 256 cm and a power and synchronization cable. 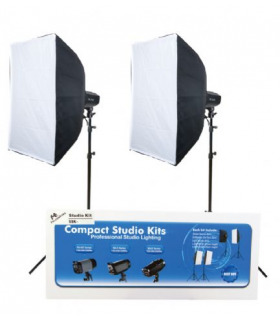 This studio flash set is usable for both the professional and the starting studio photographer. 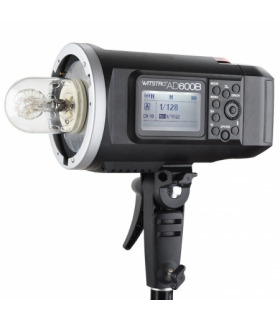 The flash unit is continuously variable from 1/32 up to full power, which offers you all the flexibility you need when lighting your subject. 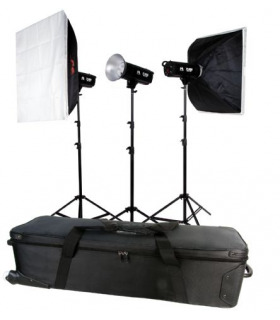 That is why this set is so suitable for many different photo studio activities. 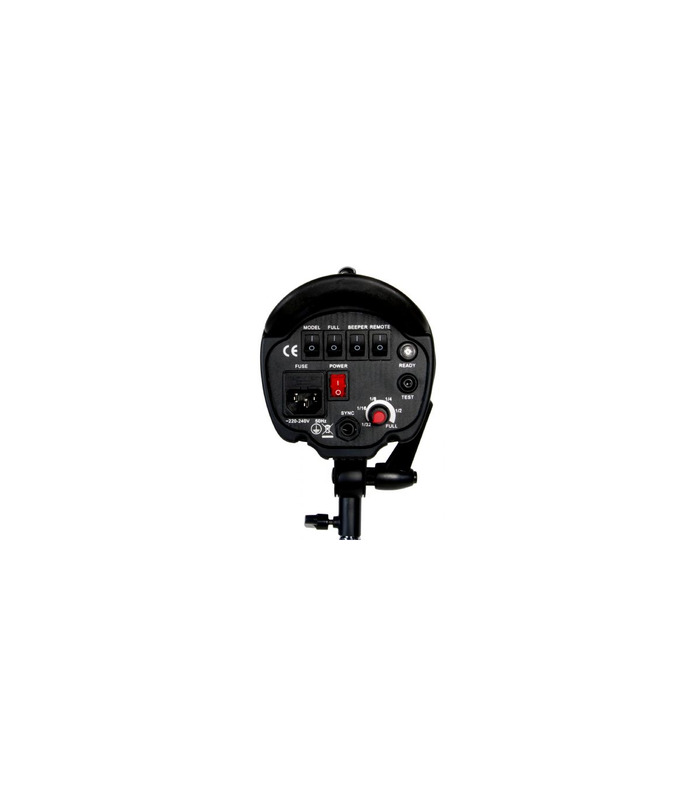 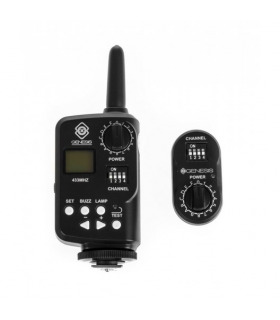 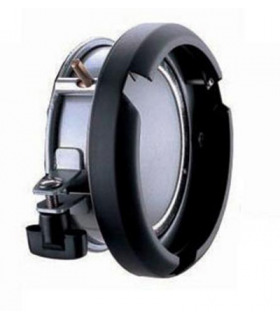 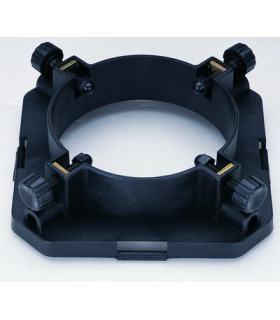 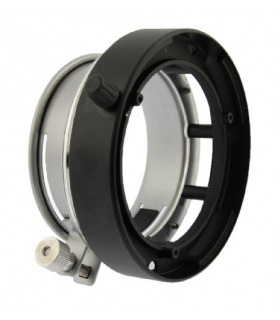 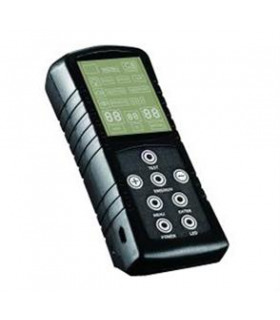 Furthermore, each flash unit offers a quick recharge time, rugged metal housing, professional bayonet connection for accessories, a built-in slave receiver, cooling fan and precise adjustability. 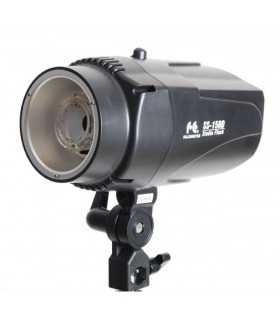 The modeling lamp can be turned off or on. 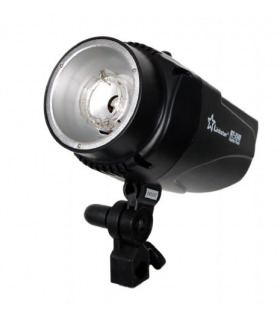 It can also automatically be set to proportionate the light output. 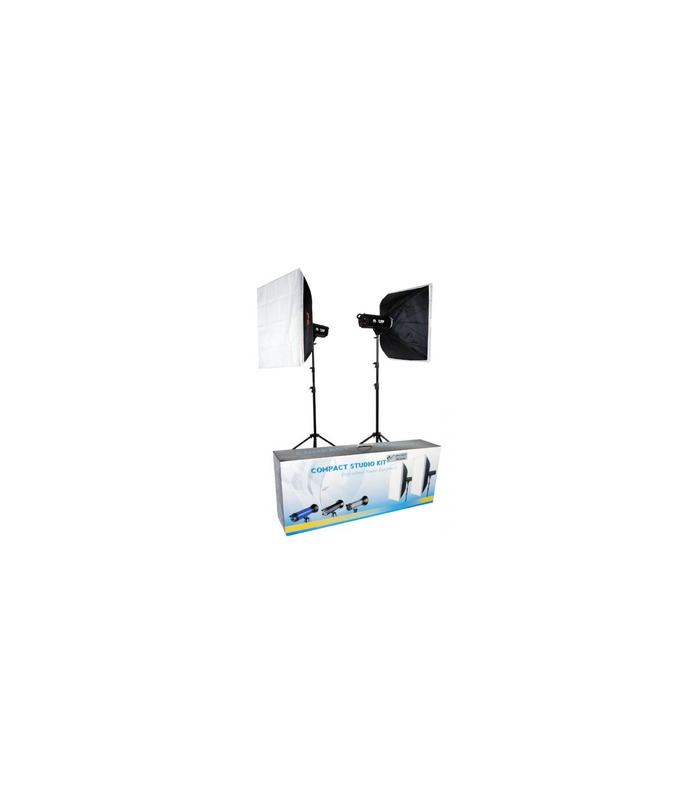 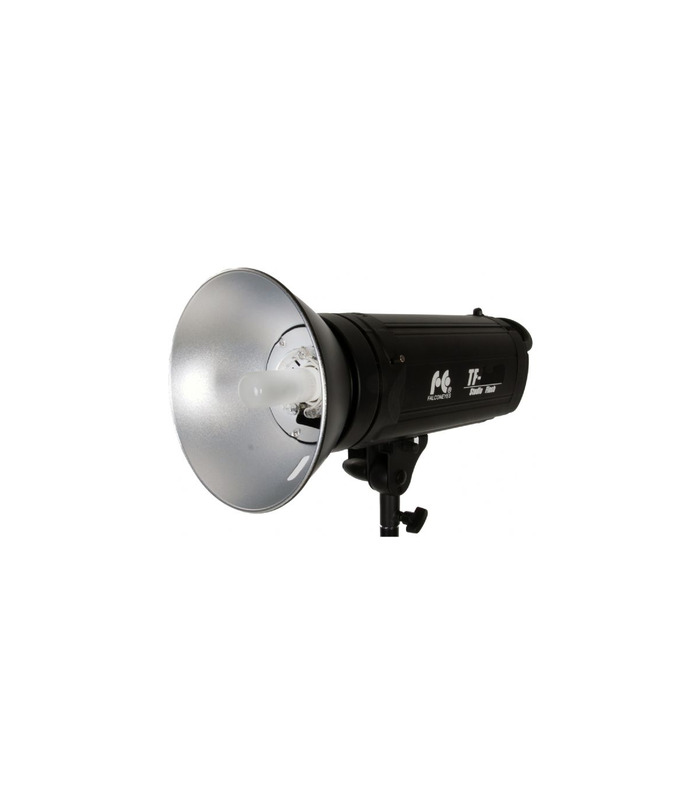 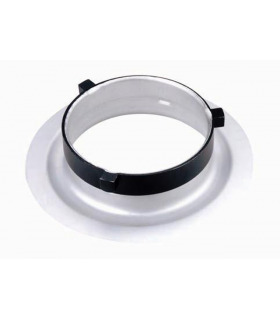 Falcon Eyes offers a large amount of optional accessories, such as barn door sets, conical snoots, soft boxes, diffusers and other accessories. 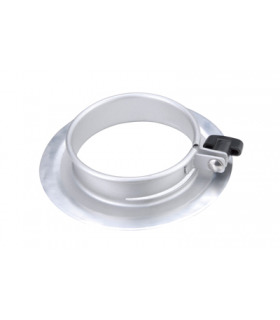 The flash units have a universal spigot connection so they will fit on every standard lamp stand. 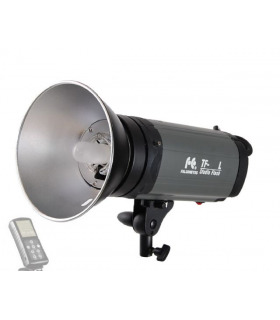 Flash duration: 1/400 - 1/1100 Sec.